Welcome to one famous love poem and four poems I have written. I hope you find these poems inspiring. The River is indifferent to what benefit or what harm is caused by its water. The fields and dreams of men may be nourished by the River of Life, or flooded and covered with silt, and the River just flows. Men may catch fish and live on the River of Life, or they may founder in a storm and drown, and the River just flows. It is not unchanging, but it is timeless, and it changes in its own time. The River of Life is not powerful - and it is not weak. The River of Life is not gentle - and it is not strong or rough. The River of Life is not deep or shallow. The River of Life is not nourishing or punishing. The River of Life is simply the River of Life. The River of Life just IS. There is no more to it. 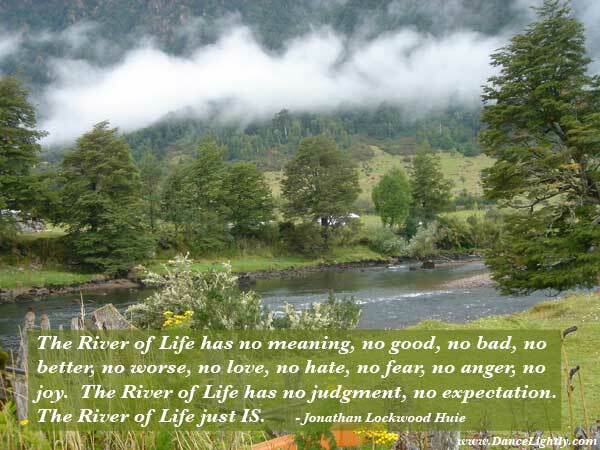 The River of Life has no meaning, no good, no bad, no better, no worse, no love, no hate, no fear, no anger, no joy. The River is the source of all nourishment - the source of all obstacles. One can flow harmoniously with the River - or one can struggle fearfully against the River - and the River just flows. One can accept the River - or one can deny the River - and the River just flows. One can worship the River of Life - or one can curse the River of Life - and the River just flows. 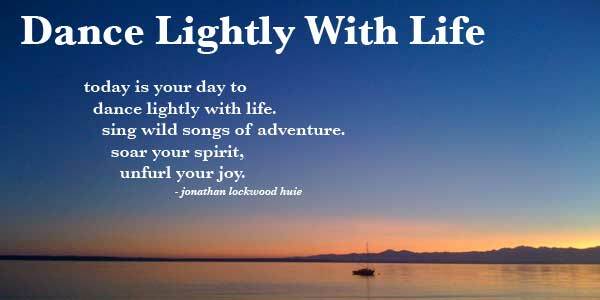 Thank you for visiting my Inspirational Poems - Inspiring Poems page. See more Inspirational Quotes and Sayings and more Inspirational Poems.